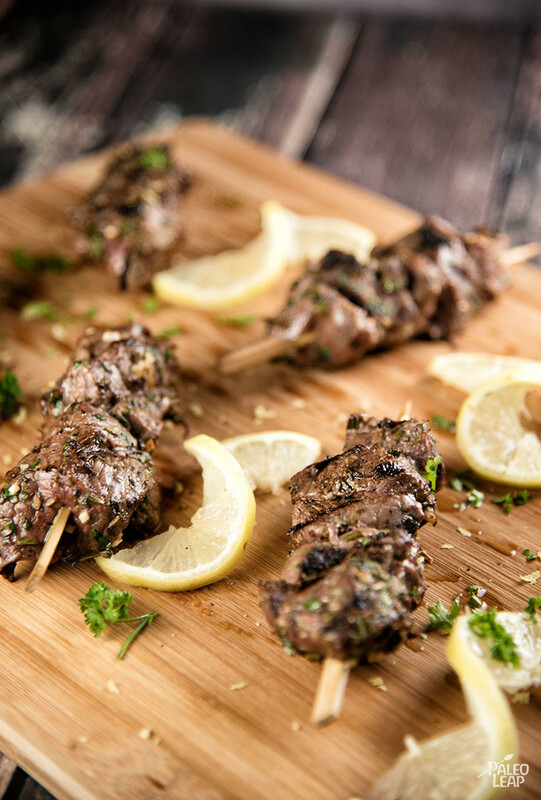 These quick grilled skewers are packed with the flavor of fresh herbs and lemon zest: with plenty of parsley, oregano, rosemary, and thyme, they’re only one off from the famous song. Olive oil and extra lemon juice round out the marinade. 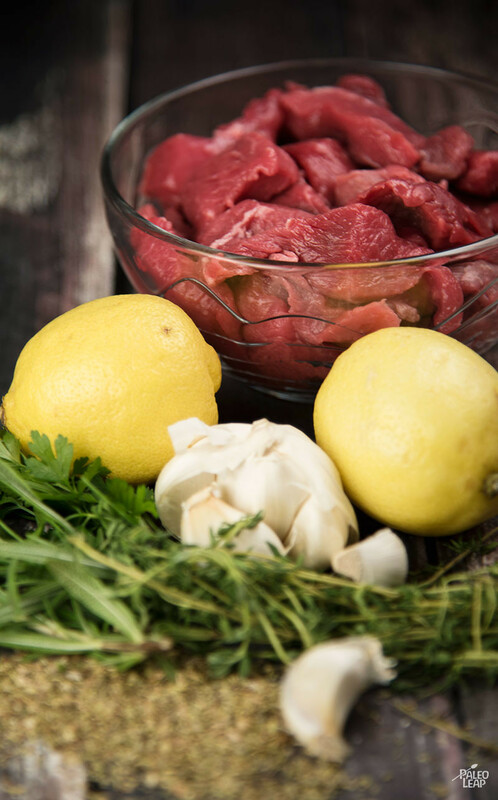 It’s not very fussy, but it’s everything you need to make the meat delicious. The marinating time for this recipe is very flexible: you could put it in half an hour before dinner, or in the morning as you’re making breakfast, or the night before. Pick whatever’s most convenient for you – and speaking of advance prep, remember that if you’re using wooden skewers, you’ll want to soak them in water before you put the meat on, so they won’t catch fire on the grill. Lemon and herbs go with just about anything, but if you want to stay with the Mediterranean theme, what about serving these with this salad, or maybe a quick plate of zucchini gremolata? Either (or both!) would match the main course with a simple, fresh accompaniment that you can add in just a couple of minutes. SERVES: 4 PREP: 45 min. COOK: 8 min. Combine all the ingredients except the beef in a bowl. Give everything a good stir, and season to taste. 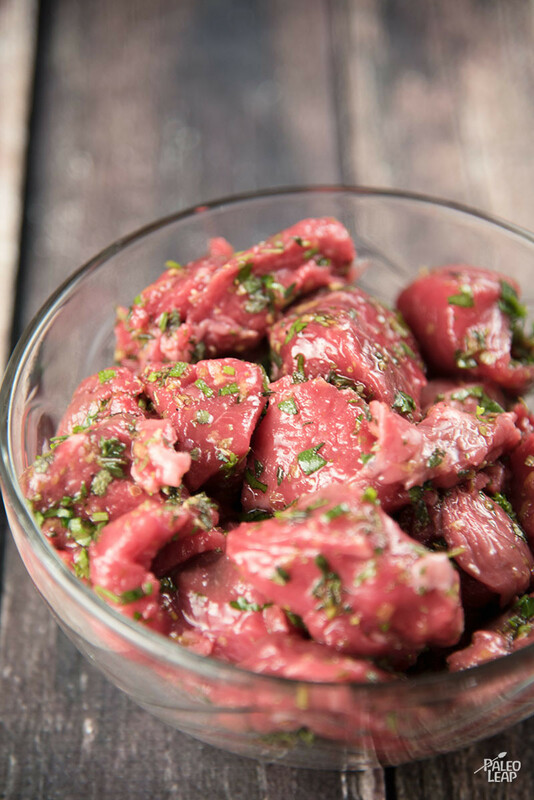 Add the beef to the herb mixture and let marinate for at least 15 to 20 minutes and up to overnight in the refrigerator. Remove the meat from the marinade, and slide onto wood or metal skewers. Cook on the grill for 6 to 8 minutes, turning every 2 minutes. Remove from the heat, and let rest for 5 minutes before serving.